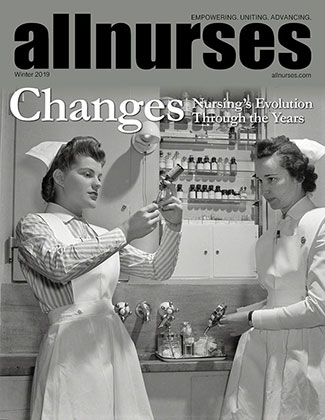 You are reading page 3 of CCRI February 2016 Nursing Applicants.... If you want to start from the beginning Go to First Page. I am applying with 180.9.. to all campuses except Newport. I will probably put Lincoln as third choice. My two children will be 4 and 6... and I am a newly single mom so it's time to get this done. I have completed every other required class for the degree so I am excited to finally apply. The pre-reqs are quite an accomplishment alone.. congrats to everyone for getting this far! Wish you all the best! Tomorrow is the 1st! Eeeekkk. I've done the pre-admissions check a couple times now. Just waiting to actually apply. Good luck all! Happy Application Day! I'm trying to be optimistic seeing that I only applied to the two night programs with 168.9 points. Good luck everyone! Thanks I was going to wait to do the application but felt good to have it done. Just submitted my application! I'm so glad to have it over with. I applied to Lincoln first choice, then Newport, Warwick and Providence. Good luck to everyone applying this month! Now to try and forget about it until at least mid-March. I noticed that when I click on my status check (I had to try it out lol) it doesn't list Comp I as a requirement. Probably doesn't mean anything... just made me curious as I thought that class was part of the point system. Natsmum, mine doesn't show comp I on my status check either. Showed on my application just not on status. Just applied last night. Maybe someone can answer my question. Upon looking at the admission requirements and the school catalog I got a little confused. Do you have to have Dosage and Health Careers complete before applying? I was planning on taking them in the summer once I figure out if i get in. I would contact advising but I don't think so. See if they are even still needed at all.